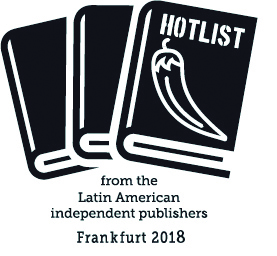 HotList 2018 : The Independent Publishing from Latin America in Frankfurt ! The International Alliance of independent publishers celebrates the remarkable vitality of independent publishing in Latin America at the Frankfurt International Book Fair through a selection of books from Latin America : the HotList 2018 ! Through a partnership with Kurt Wolff Stiftung (a collective of independent German publishers) and the Frankfurt Book Fair, independent Latin American publishers in Frankfurt will be exhibiting, at the “Reading Island for Independent Publishers” stand (Hall 4.1 / D36), more than thirty books of various genres : novels, short stories, art books, essays, children’s literature, and poetry... from Argentina, Brazil, Ecuador, Chile, Colombia, Mexico, Venezuela ! The HotList is also available online, an opportunity to discover the wealth and creativity of independent publishers all year round. Discover also the WomenList : a thematic and international selection created in 2018, celebrating women’s struggle ! 2009 : The members of EDINAR (collective of Argentinian independent publishers) present a selection of the best books from their list at the Buenos Aires Book Fair. This selection is then promoted in independent bookstores across Buenos Aires. 2010 : Argentina is the guest of honour at the Frankfurt Book Fair. However, Argentinian independent publishing is poorly represented. The Argentinian independent publishers, in partnership with the Frankfurt Book Fair, decided to present a HotList on the stand of independent German publishers : a showcase of the diversity and quality of their offering. 2017 : The HotList 2017 opens to independent publishers from Latin America ! Thanks to the collaboration with the collective Kurt Wolff Stiftung (independent German publishers), a selection of about 40 titles from publishers from Argentina, Chile, Colombia, Peru, and Uruguay is exhibited in Frankfurt on the “Reading Island” (Hall 4.1). 2018 : Following the success of the 2017 edition, the HotList is repeated and opens to Brazilian publishers. In addition, a thematic and international selection is launched : this year, the theme of “women’s struggle” is selected in the WomenList 2018, showcasing more than 30 titles edited by independent publishing houses from all continents.